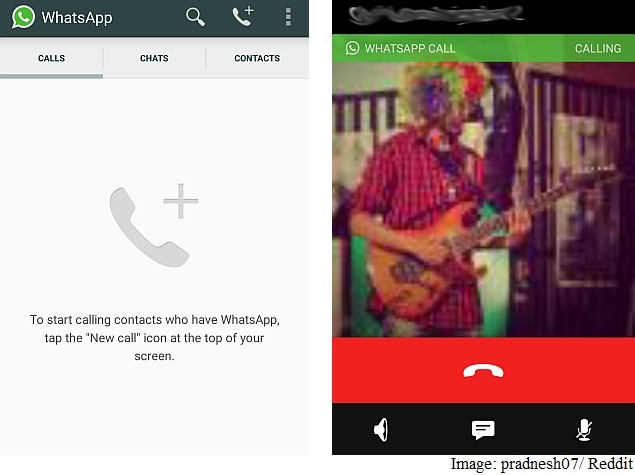 WhatsApp voice calling feature is now available to all users of the app’s Android version. The app had begun rolling out this month to some users and they could pass it on to others by making a WhatsApp call during time-limited invite windows. However, the feature has been activated on Tuesday for several users who didn’t receive invites. To get this feature on your Android smartphone, all you need to do is download the latest version of WhatsApp from its website. The feature has appeared on WhatsApp version 2.12.5 in some smartphones, but most people will need the latest 2.12.19 version to get WhatsApp calling. The update has already started being pushed to Google Play as well, so just sit tight until it rolls out in your region or download the apk from the company site. When the feature is activated on your smartphone, you will notice a new three-tab layout featuring Calls, Chats and Contacts. You can head to the Calls tab, tap the phone icon, and pick a contact to make your first WhatsApp call. While the feature is available to Android users now, those on other platforms continue to wait. WhatsApp confirmed that the feature would be rolled out to iPhone users soon. There’s no word yet about the feature when the feature will be available on other platforms. Until then, Android users with WhatsApp calls enabled won’t be able to call WhatsApp users on other platforms. These people won’t appear in the list of contacts that Android users can call. The long-awaited feature is finally available on one platform, and there’s no more waiting for invite windows to open again.